Rheinmetall and BAE Systems today announced that they have signed an agreement to create a joint UK-based military vehicle design, manufacturing and support business. The new Joint Venture will be headquartered at BAE Systems’ facility in Telford, England and will sustain over 400 jobs in the UK, as well as preserve key technology and engineering skills. While initially focused on these major UK programmes, RBSL will also form an integral part of Rheinmetall’s Vehicle Systems Division and will participate in and contribute to various global military vehicle pursuits and contracts. The combination of Rheinmetall’s military vehicles technology and products with the additional capabilities and products brought to the Joint Venture by BAE Systems, such as Trojan, Terrier, Warrior, military bridging and the AS90 self-propelled artillery system will create a European market leader in the military vehicle sector. RBSL will have the potential to create hundreds of additional UK jobs, both in Telford and the wider supply chain. 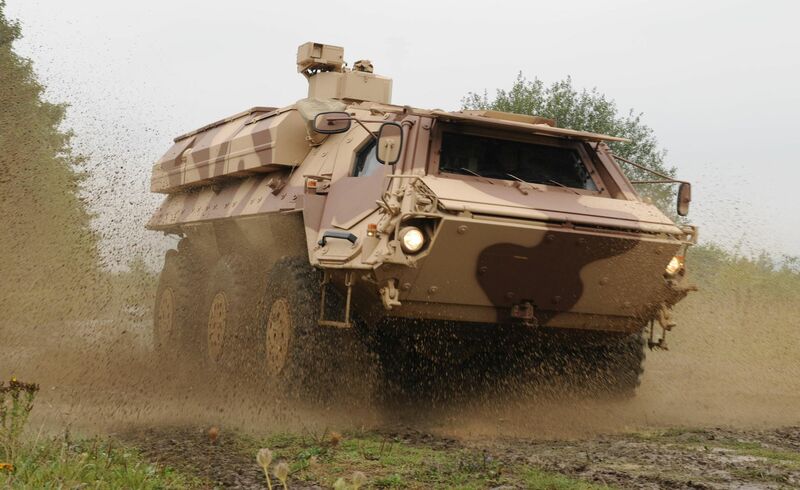 Rheinmetall Defence is a leading supplier of military vehicles and systems. Rheinmetall’s businesses in the UK include Rheinmetall Defence UK (RD UK) and Rheinmetall MAN Military Vehicles UK (RMMV UK), and are well-established suppliers to the MOD. They support the British military in a number of areas, including vehicle systems, ammunition and technical assistance. BAE Systems has had a combat vehicles manufacturing and support business in the UK for many decades. Under predecessor companies it manufactured and built the Challenger 2 Main Battle Tank and the Warrior, Terrier and prototypes of the BOXER vehicles. The current business helps the MOD and Army maintain and upgrade a range of military vehicles and bridging systems. It employs around 400 people, who are based largely at the company’s Telford facility, as well as at sites in Washington, Filton (Bristol) and Bovington. The proposed Joint Venture does not include BAE Systems’ munitions and weapons systems businesses or its holding in the CTAI Joint Venture with Nexter.